Geaux Teacher! : Supt. White Tells Teachers To Train Children's Brains To Think Differently! Supt. White Tells Teachers To Train Children's Brains To Think Differently! I am immediately posting Part 2 of my review of the St. Tammany School Board meeting last night because I just read this in The Town Talk reporting on a meeting between Louisiana State Superintendent John White and teachers in Pineville. "Some frustration is important to move students forward as exercise improves fitness. We want to train our brains to think differently." This is our chief state policymaker who has no degree in education, an on-line masters degree he obtained from NYU after being appointed state superintendent, and two years as a Teach For America instructor in New Jersey. 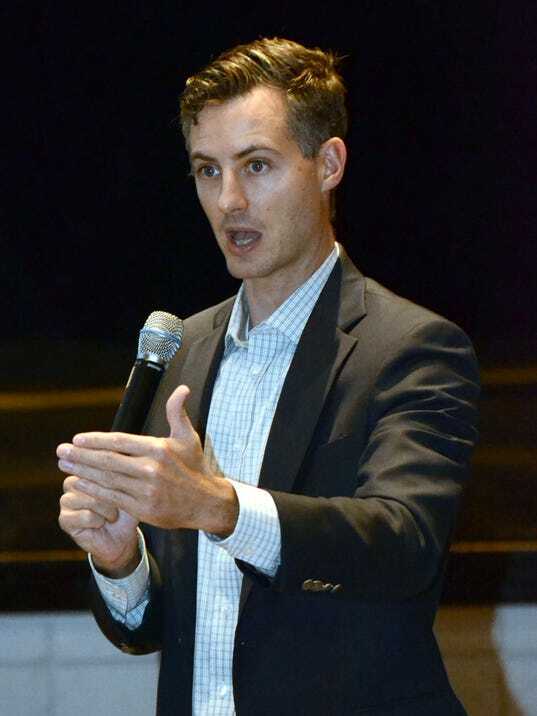 This Thirty-Something incompetent is paid $275,000 base salary to tell our highly qualified, experienced district superintendents and educators how to teach. What's wrong with this picture? Teachers who heckled those of us fighting against his privatization agenda and the destruction of teaching AS A PROFESSION open your eyes! 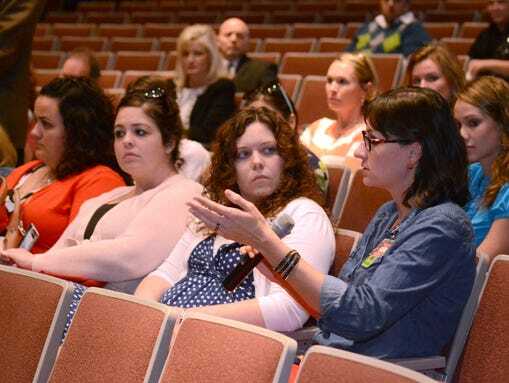 PINEVILLE – Teachers asked for help with keeping pace with testing and modifying lessons for students during a session with State Superintendent of Education John White on Wednesday. White spent time with a group of Rapides Parish teacher leaders at Pineville High while on his annual Louisiana Believes tour to "get the pulse" of what's going on in the classroom and plan any course corrections for the next year. "I want to know what you're seeing on the ground," he said. "Over the last couple years obviously a lot has changed." Most of the teachers' questions revolved around keeping pace with new, more rigorous curriculum while reaching every student. A Bolton High teacher said some of her students are struggling to keep up and are frustrated. "On one hand, on a researched basis, we are no doubt asking you to teach texts on a level beyond what we did last year," he told the room full of teachers. White said some frustration is important to move students forward as exercise improves fitness. "We want to train our brains to think differently," he said in an interview. She is unsure what methods to use to help them and if spending more time on some lessons could hurt students when it comes to tests. And she wasn't the only one. Pineville High teacher Bonnie White said pushing forward to meet local and state deadlines while some students are behind can cause "kind of a snowball." "What's the balance?" she asked. "We need a way to negotiate that middle ground. We don't want to see an achievement gap. I don't want my students to suffer while I'm in my learning period." English teachers asked for more resources and suggested titles to give to students who are ahead in their schoolwork and other lessons for those falling behind. Elementary ELA teachers requested the same for help with Journeys, the reading curriculum aligned with Common Core that Rapides schools implemented this year. They asked if they should not "hit" everything in each unit but do more preparation for PARCC in the long run. Teachers are working to finish units in time for benchmark tests every nine weeks and cumulative formative assessments for local data teams as well as PARCC at the end of the year. "I think that interim assessments embedded in the year are where we are doing our most misalignment," White said. "In many cases the tests are not aligned to state summative assessments." He said that is more complicated in high schools, but that it takes conversations and a leader, which White sees in Superintendent Nason "Tony" Authement. White said he likes Authement's focus on low-achieving schools. "I'm happy there is a leader in Rapides with energy and a plan," he said.